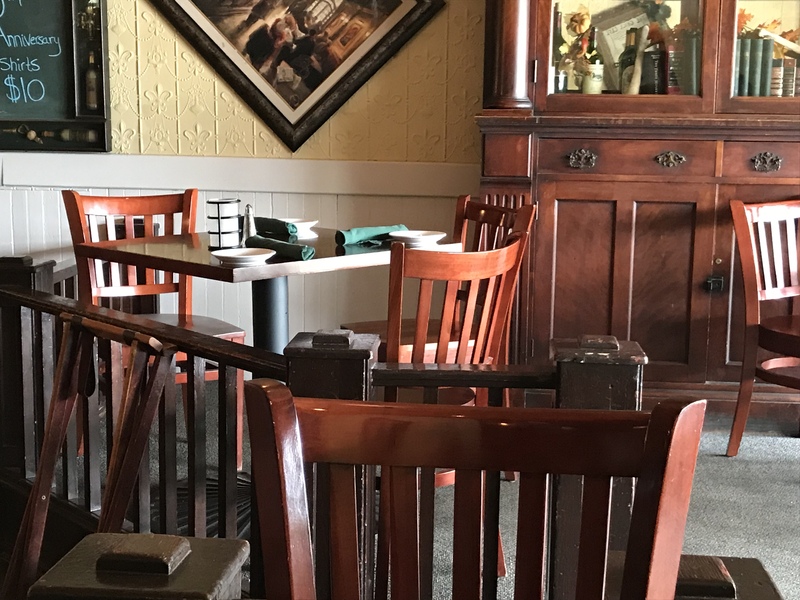 City Park Grill: I highly recommend eating at City Park Grill when you are in town. 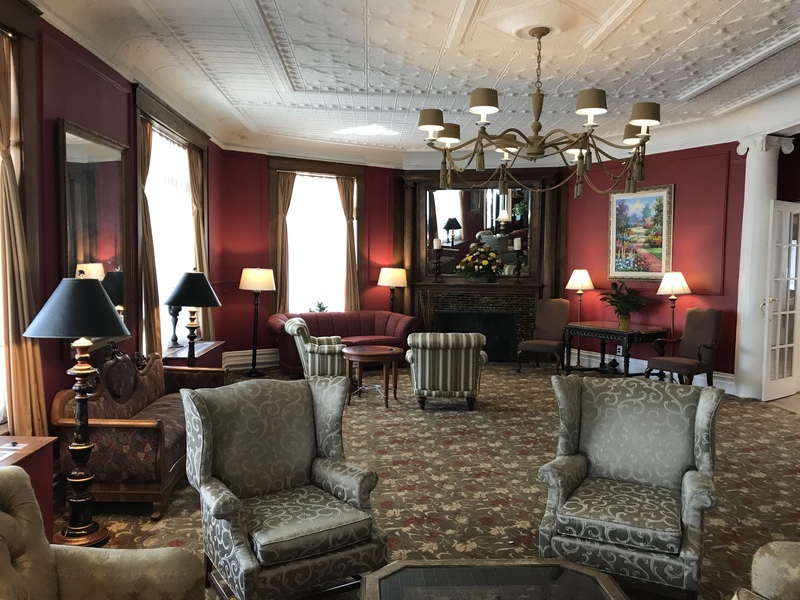 It is located in a building from 1875 that was once McCarty Hall, a men-only billiard parlor serving cocktails and cigars. From the 1910s to 1920s, Ernest Hemingway made northern Michigan his summer home. 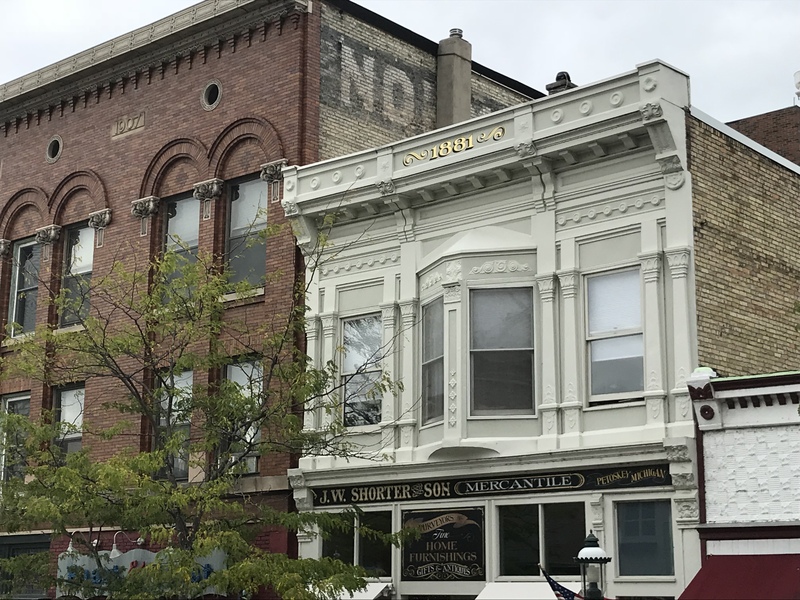 The Annex was one of his favorite places where he would sit in the second seat from the end of the bar and write his ideas for short stories and books. 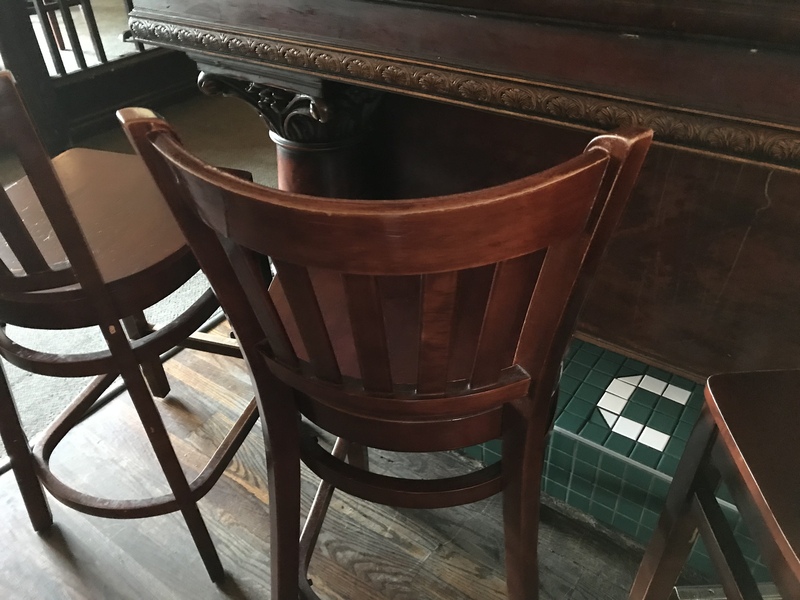 You can sit in the second seat and see where, supposedly, Hemingway put out his cigars on the bar top leaving the burn marks you can still see! I loved it for lunch when they have a good selection of soups, salads, burgers and sandwiches. The whitefish sandwich was great! 432 E. Lake. Make sure to check out the Hemingway statue in the small park near the restaurant with a plaque that describes his time in Petoskey. The Noggin Room Pub: This casual pub is located on the lower-level of Stafford’s Perry Hotel in downtown Petoskey. It is open seven days a week. 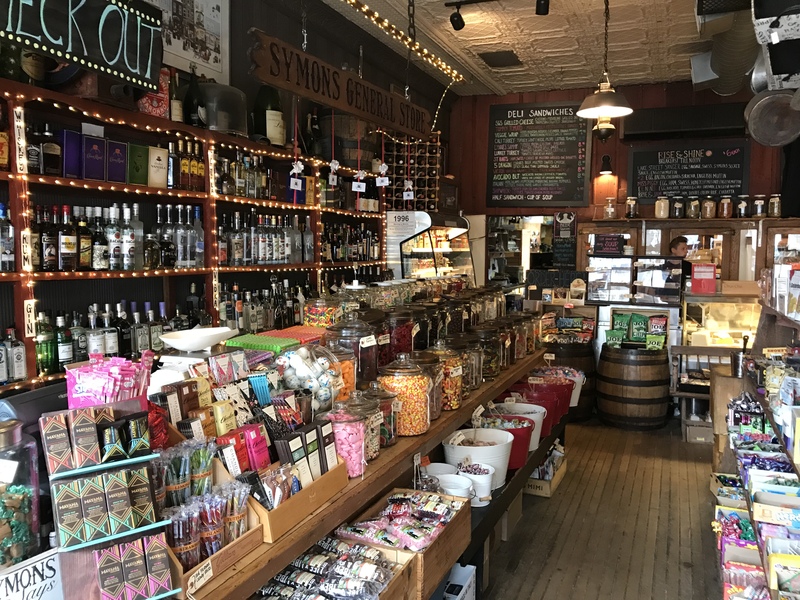 Stop in for a drink while you are in town. 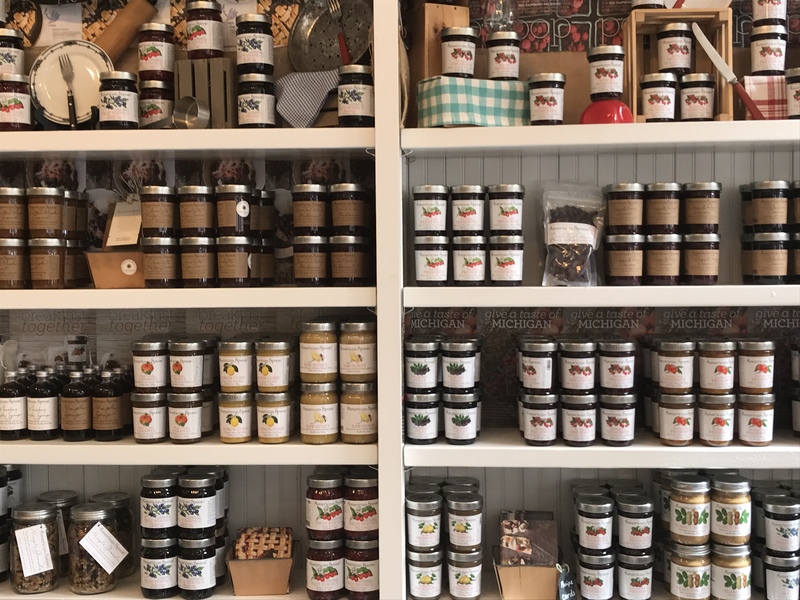 American Spoon Cafe and Gelato: This cafe at 413 E. Lake is a fun spot next to the retail store at 411 E. Lake selling their great products, jams, fruit butters and dried fruits, many with local Michigan cherries. This is the company’s first and flagship store. 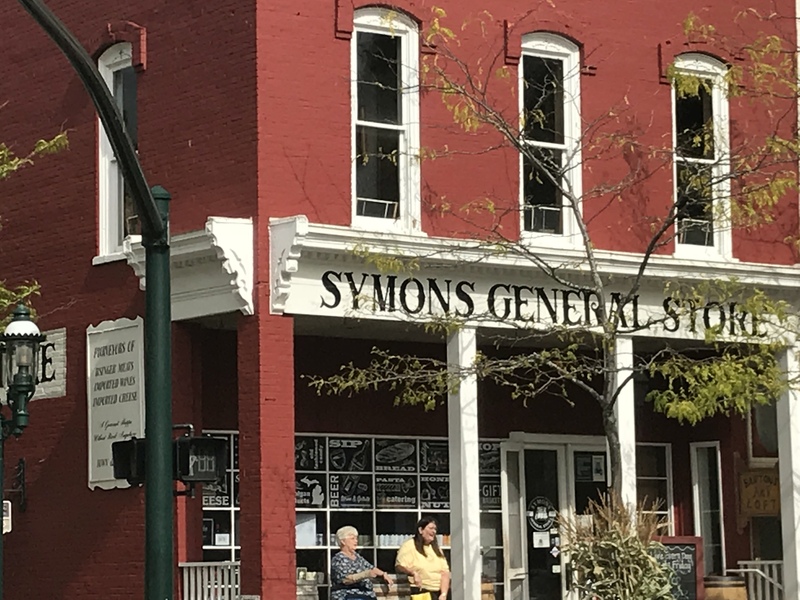 Symons General Store: Located at 401 E. Lake, this is a local grocery store, deli, and wine cellar located in Petoskey’s historical Gaslight District. Since 1956, it has been a destination for wine lovers, cheese connoisseurs and foodies. Behind the restaurant is Chandler’s Restaurant at 215 ½ Howard St. 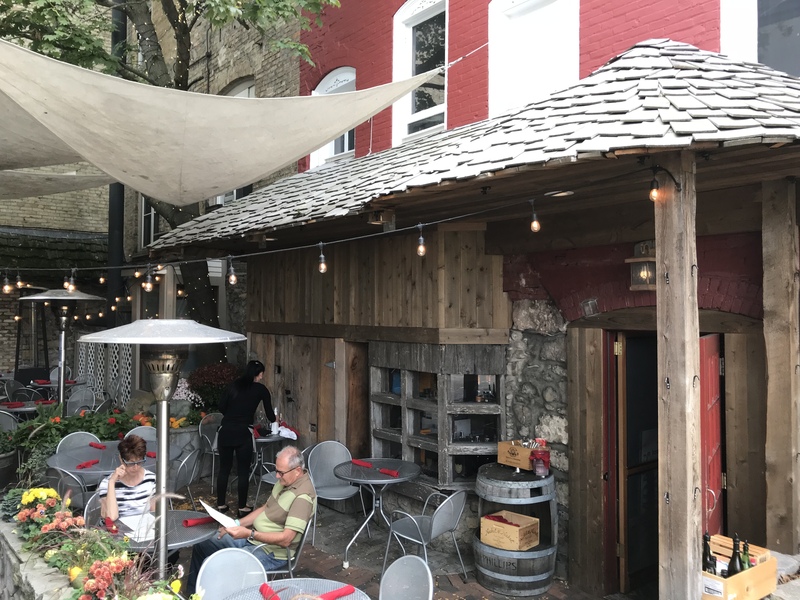 It features what they call “Progressive American Cuisine” in one of its three dining areas, each with a warm European atmosphere with wood walls and brick floors. It is open for lunch and dinner and brunch on the weekends. Julienne Tomatoes: This is a casual cafe, deli and bakery known for its great seasonal breakfast and lunch dishes. 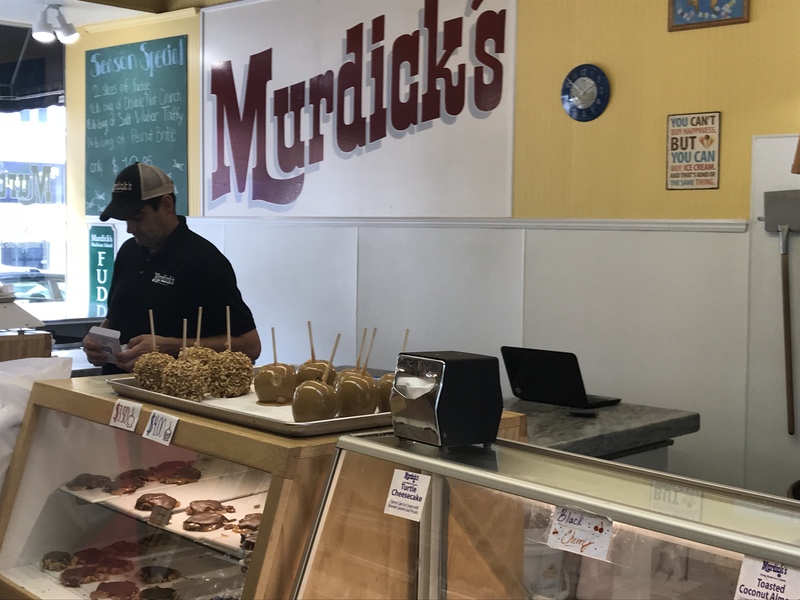 421 Howard St.
Murdick’s: At 311 Howard St., this is the place for great ice cream and fudge. The maple ice cream was really excellent!! 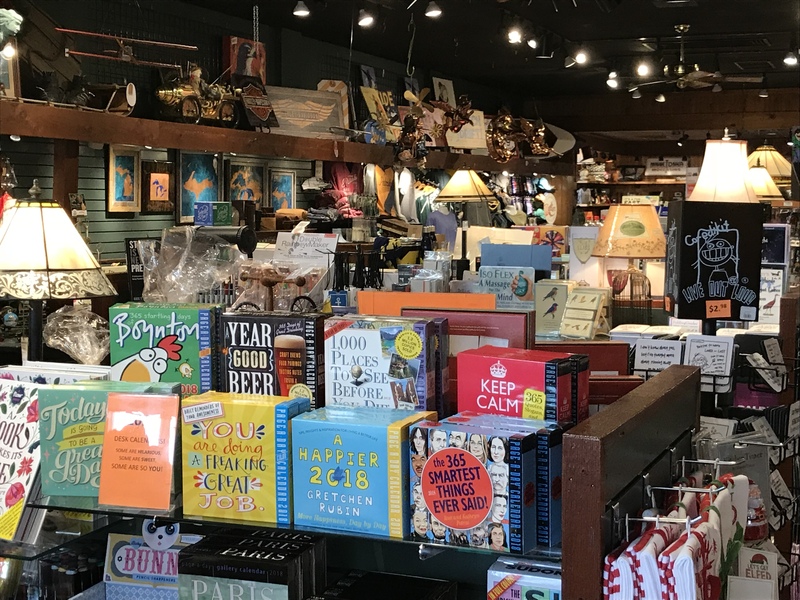 Grandpa Shorter’s Gifts: This fun store features Michigan oriented gifts at 301 E. Lake St. It opened in 1946 and has been owned by three generations of Shorters. Trapper’s Cabin: Located on the lower level of Grandpa Shorters, they feature a line of accessories and decor with a North Cabin look. J.W. 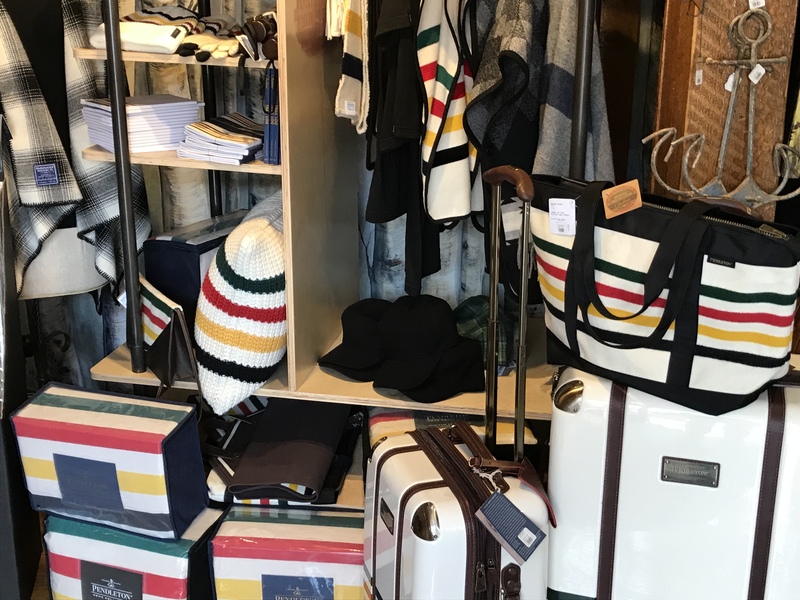 Shorter & Son Mercantile: Grandpa Shorters has one other company, that specializes in home accessories, baby products, candles, place-mats, cards, fine linens and fashion accessories. 311 E. Lake St.
Side Door Saloon is known for its burgers and an outdoor deck in the summer. 1200 N US Highway 31. 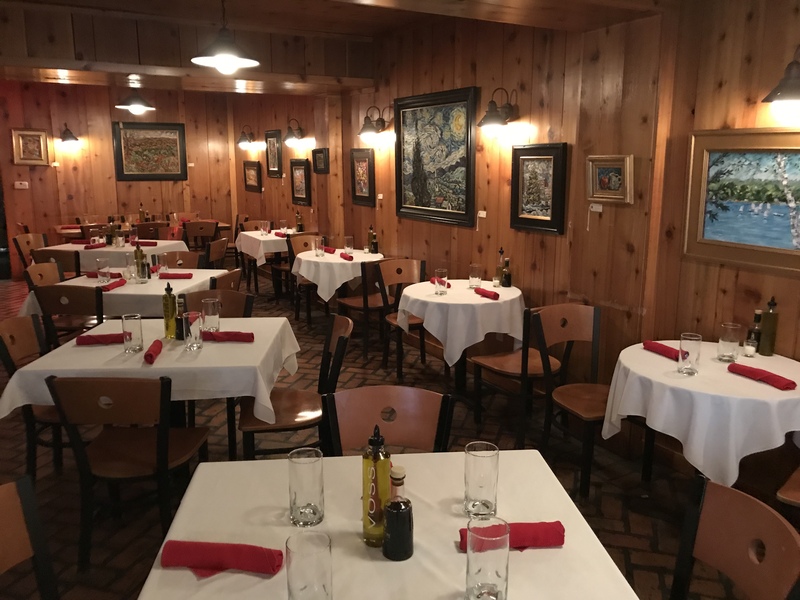 Twisted Olive: Located in Petoskey’s Gaslight District, this is a fun spot for dinner. Local friends love their steamed mussels! 319 Bay St.
Crooked Tree Arts Center: Located at 461 E. Mitchell, this arts center, located in former Methodist church complete with stained glass windows, features art and photography exhibitions, art classes and workshops, food lectures and workshops plus music, film and dance performances. 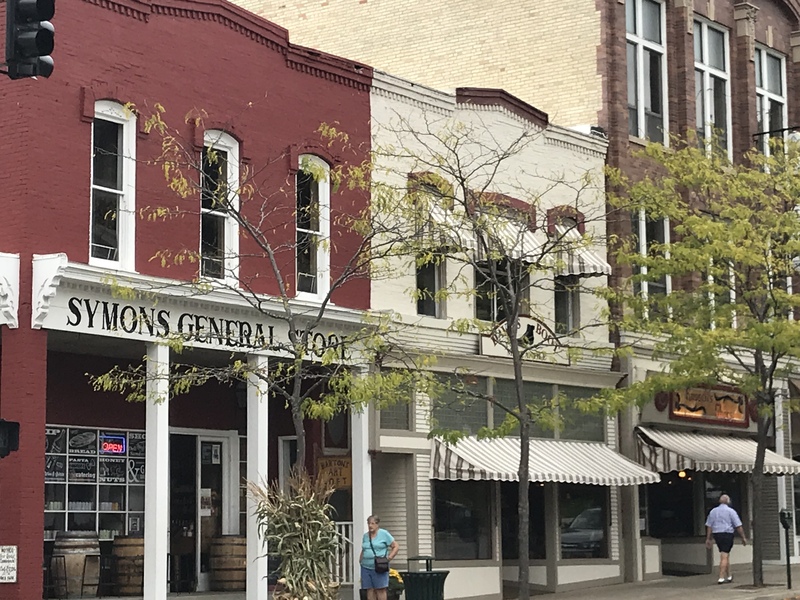 Downtown Petoskey also features a number of events throughout the year including concerts in the park, gallery walks, holiday events and a farmers market on Friday mornings during the summer. To stay downtown, I would recommend Stafford’s Perry Hotel at 100 Lewis St., located across from the former train station. 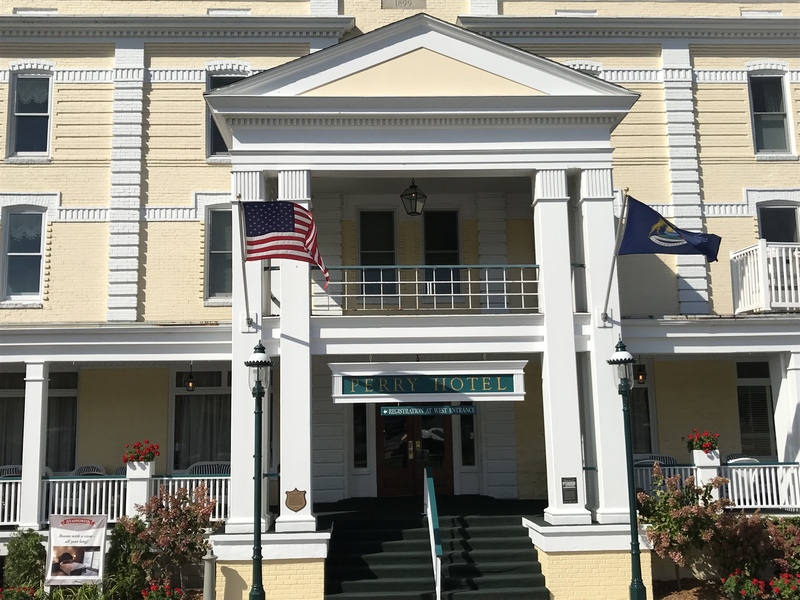 This historic hotel from 1899 has beautiful views of Little Traverse Bay. They have a lovely dining room with great views and the Noggin Room Pub downstairs. The hotel is in a great location to walk and explore the downtown shops, galleries bars and restaurants. 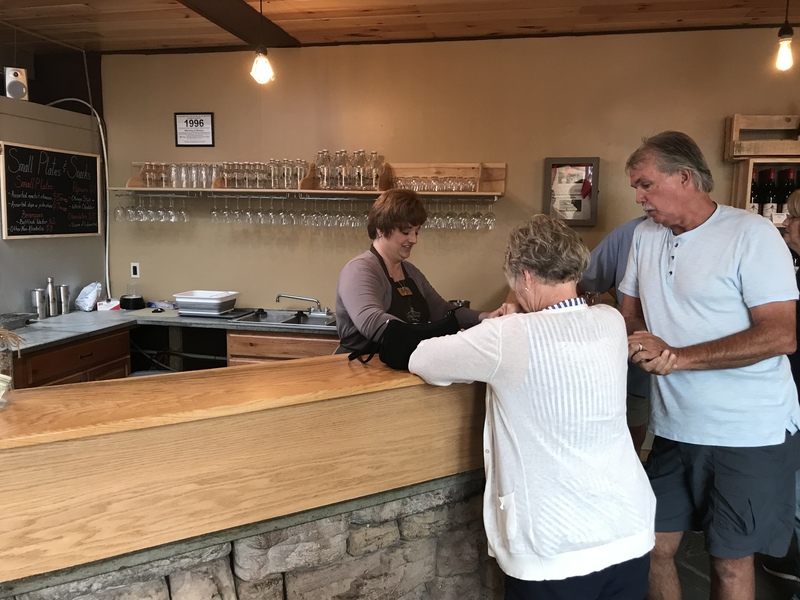 Petoskey Farms Vineyard & Winery: This is the downtown tasting room of this local winery that also features some of its ciders. 207A Howard St.
Next door at 207 Howard St. is Dripworks, a great, contemporary spot for coffee. In addition to coffee, they have croissants, frittatas, cookies, cakes, pastries and tarts. 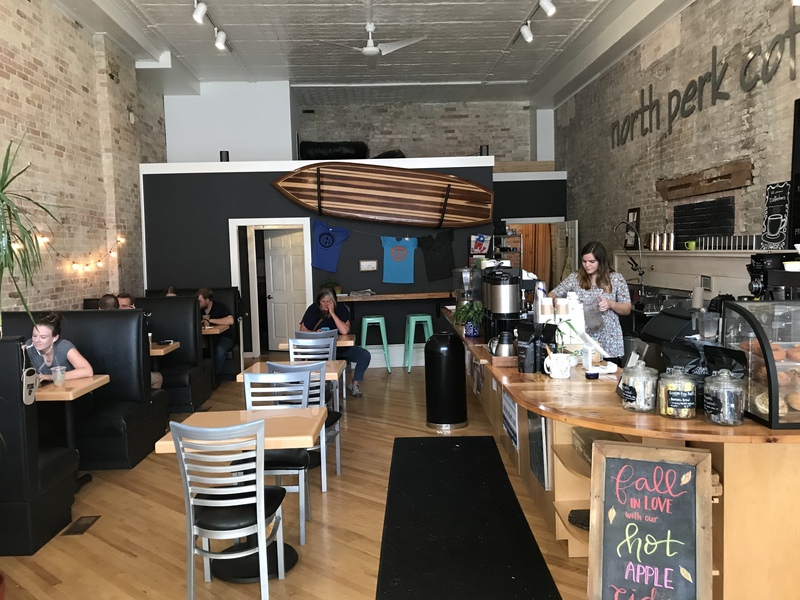 At 308 Howard St., North Perk Coffee is also a great spot for coffee featuring locally roasted coffee and pastries.